In addition, Dyson made the point the Black Church has benefited from gay people in the church and should welcome that blessing. 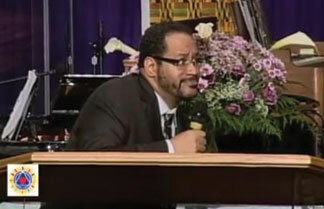 However, he cautioned Black Christians against blaming gay members for not coming out of the closet since the Black Church doesn’t create a safe space for them to come out. This is not the first time that Dyson has stood up for gay rights. While debating Sophia Nelson on MSNBC in 2012, Dyson said that the church is marginalizing gay people. “You’re throwing [the gay community] a bone by saying, ‘Look, I believe in civil unions’ and the like, but what you’re not addressing is the fact that your faith fuels the belief that to be gay is to be automatically a sinner, to be gay is to be outside of the covenant of God. And I’m arguing that that automatically disqualifies gay and lesbian, transgender and bisexual people as your equals in the faith,” argued Dyson.